GearWrench universal impact metric sockets feature manganese phosphate coating to resist corrosion, high visibility laser etched markings and secondary hard stamping. GearWrench universal impact metric sockets feature chrome molybdenum alloy steel (Cr-Mo) for exceptional strength and durability. 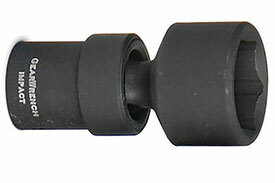 The surface drive technology of a GearWrench universal impact metric socket reduces fastener rounding. GearWrench universal impact metric sockets meet or exceeds ASME B107.2. standards. The 84162 GearWrench 1/4'' Universal Impact Socket, Metric is one of thousands of quality tooling products available from MRO Tools. Please browse GearWrench 1/4'' Universal Impact Sockets, Metric for tools similar to the 84162 GearWrench 1/4'' Universal Impact Socket, Metric. 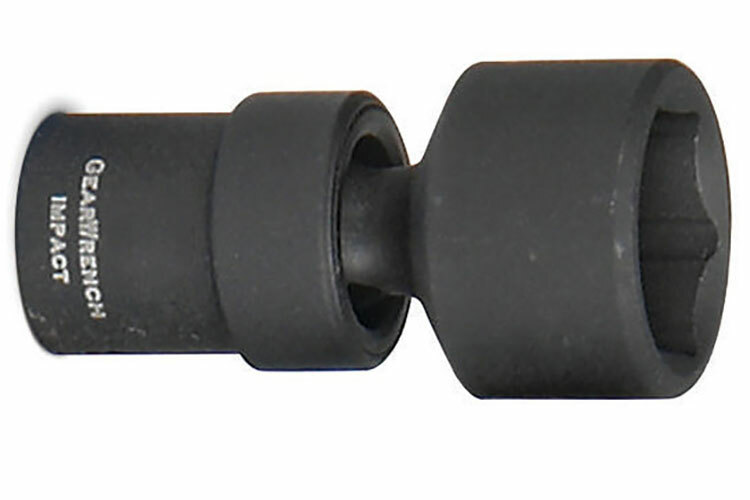 84162 GearWrench 1/4'' Universal Impact Socket, Metric description summary: GearWrench 1/4'' universal impact metric socket. Fastener Size: 7 mm Point Size: 6 Point Drive End: 0.787'' Wrench End: 0.453'' Overall Length: 1.831'' Bolt Clearance: 0.630'' Wrench Depth: 0.480'' Length to Shoulder: 1.640'' Quantity discounts may be available for the 84162 GearWrench 1/4'' Universal Impact Socket, Metric. Please contact MRO Tools for details.